vintage workwear: Salt & Pepper Twill or Convert Cloth…by any name, you had me at hello. Salt & Pepper Twill or Convert Cloth…by any name, you had me at hello. Just a few pieces of vintage workwear based on one of my favorite fabrics and a couple of variations to get us started. Some are from my closet, some are dead stock from the collection and some items are for sale thru the San Fernando Valley Mercantile. Will follow up with future posts featuring more detailed photos & descriptions along with some related items of interest and some other pieces not pictured. Till then, check out a great DubbleWare salt & pepper shop coat and article on twist chambray a.k.a. 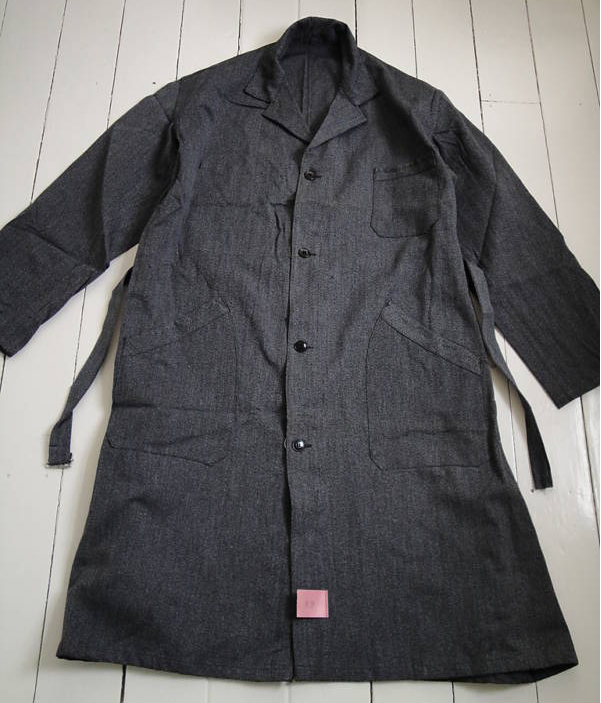 convert cloth / salt & pepper fabric over at RIVETED, a fine blog for vintage workwear aficionados. 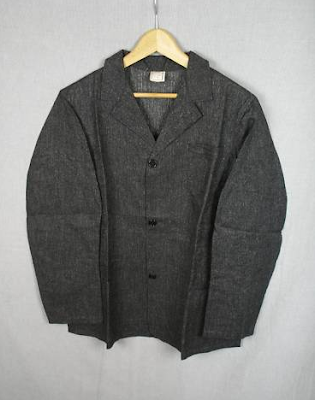 ...and speaking of salt & pepper cloth & workwear aficionados, eBay sellers *kompendium & emperor-of-mercia have been bringing some great salt & pepper workwear from the UK as of late. Check them out for a nice change of pace. Take note of the early RRL made in USA salt & pepper work cap purchased way back in the mid 1990’s; my first foray into the world of salt & pepper fabric work clothes & the iconic clothing label that would help shape & define a style for myself & so many others. Till RRL gets the post space it deserves, here's a link to another like minded blog, SANFORIZED for some nice photos of the RRL Melrose store. My Dad was a self employed truck driver/mechanic in the late 40's and 50's. He always wore the black salt and pepper pants and shirt, and a salt and pepper eight quarter cap. Wish I could find a hat like that! I have 40s Coltex fabric as you described. I can direct you to guys who create reproduction 8 panels caps. Reply and let's discuss.